Purchasing a home for the first time is a milestone for any family, so if you're laying out the many tasks you'll have to perform in your new house, your bathroom should get a majority of your attention. If your bathroom is nearly complete and is in need of a few aesthetic upgrades, perking up your bathroom vanity with a new faucet can infuse your personal tastes into the space. Bathroom faucets have come a long way from the hot and cold dials of the past. With styles ranging from traditional to futuristic, you'll be hard-pressed to find a design that doesn't suit your tastes. If you're looking to save some counter space, a single handle faucet could be a great choice - these come in a number of sleek designs that can make your bathroom a bit more streamlined. 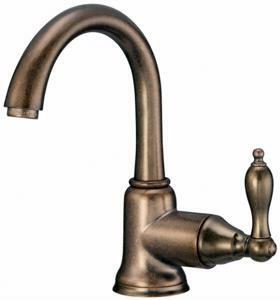 You can also opt for a centerset faucet that combines everything into one assembly, or a widespread arrangement that places the dials equidistant to one another. Whatever you choose, the gorgeous look of your new faucet could be the finishing touch to create a bathroom you'll love for years to come.